Nothing too fancy: I blacked out the edges, applied builders sand, added some Vallejo pumice, washed them with a watered down Army Painter Dark Tone and then added some bright green acid pools. A unit of Tyranid Warriors are even on scenic bases, so I’ve claimed that square too! There were some constraints on the basing: I needed to match the style of basing used on my Genestealers as they’ll be incorporated into this army at times and I wanted them to be compatible with my Genestealer Cults too. 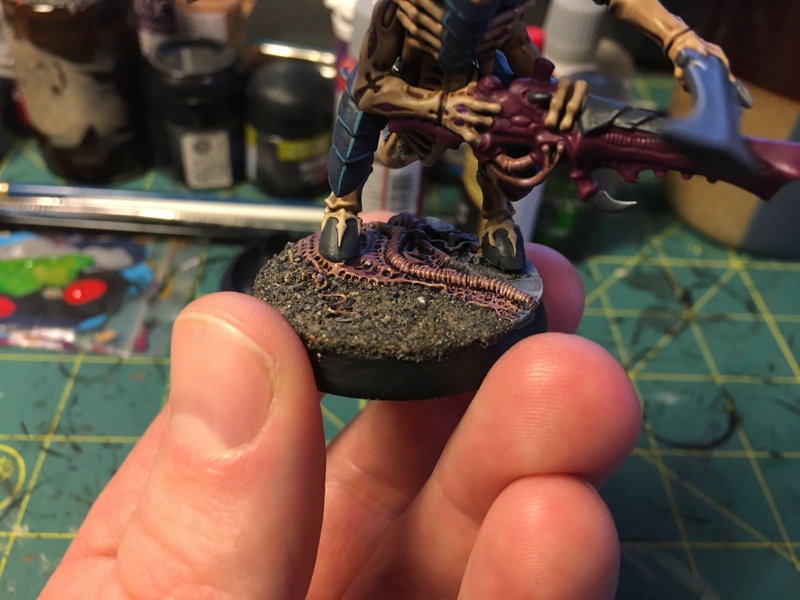 I’ve another 15 or so models to go and then the Tyranids are complete. I’m enjoying painting the bugs – it’s very therapeutic!